This year at Basel, Robert Greubel and Stephen Forsey are delighted to present four new variations of their leading creations. This timepiece that showcases the second Fundamental Invention is today presented with a case made of titanium, a material that reduces the weight of the timepiece and thus ensures greater comfort. Entirely covered with a black ADLC treatment that makes it more resistant to scratches, this timepiece has a powerful visual impact from the very first glance. Technically, the four tourbillons offer a spectacle of astonishing elegance as they perform an ethereal, perfectly choreographed ballet, connected to a spherical differential, they contribute independently to obtaining a precise and reliable timing rate, especially in stable positions. The spherical differential transmits the average timing rate of the four tourbillons, thus improving the chronometric performance of all the regulating organs. In view of the impressive number of individual elements making up the movement, the case has been sculpted with an asymmetric form. 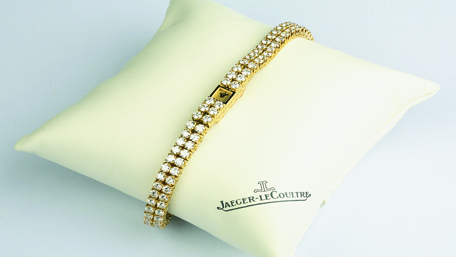 An asymmetry that forms an aesthetic reflection of the asynchronous dynamic of the four tourbillons. The flagship Quadruple Tourbillon that showcases the second Fundamental Invention is today presented with a new three-dimensional black-polished dial. Technically, the four tourbillons offer a spectacle of astonishing elegance as they perform an ethereal, perfectly choreographed ballet. Each connected to a spherical differential, they contribute independently to obtaining a precise and reliable timing rate, especially in stable positions. 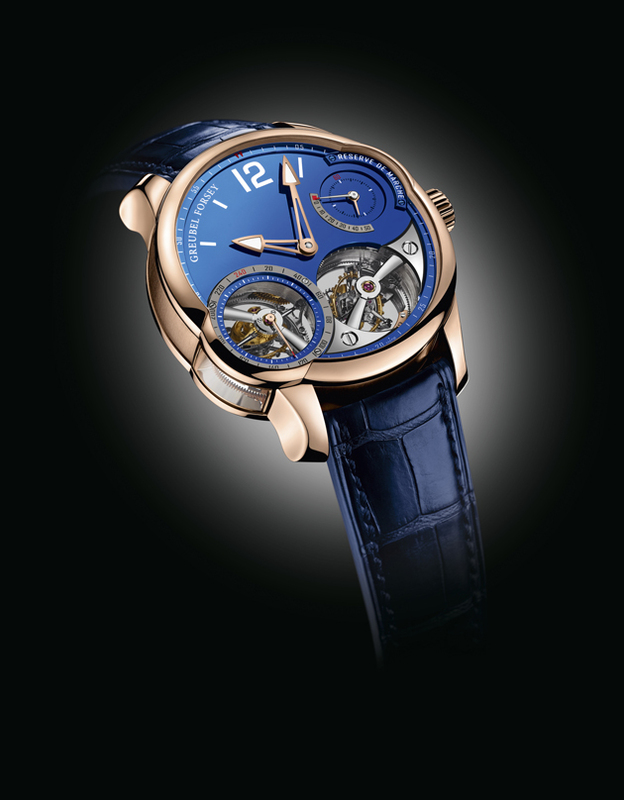 The Double Tourbillon Technique Blue highlights the first Fundamental Invention. Integrated into the complex three-dimensional movement architecture, the sapphire crystal chapter-ring is transformed into a window through which to observe a miniature world of constant movement in which all the elements are intertwined, catching our eye from one gear-wheel to the next. 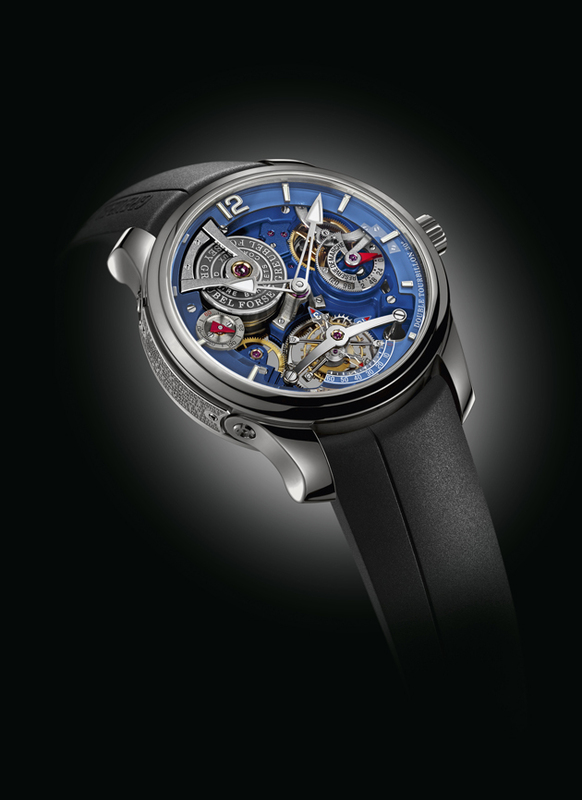 For this timepiece, the challenge for Greubel Forsey was to preserve the homogeneity of the remarkable blue finish despite the apparent complexity of the movement architecture with the forms of the plates and bridges, and their shadows. The immersion is such that it almost resembles an abyss. 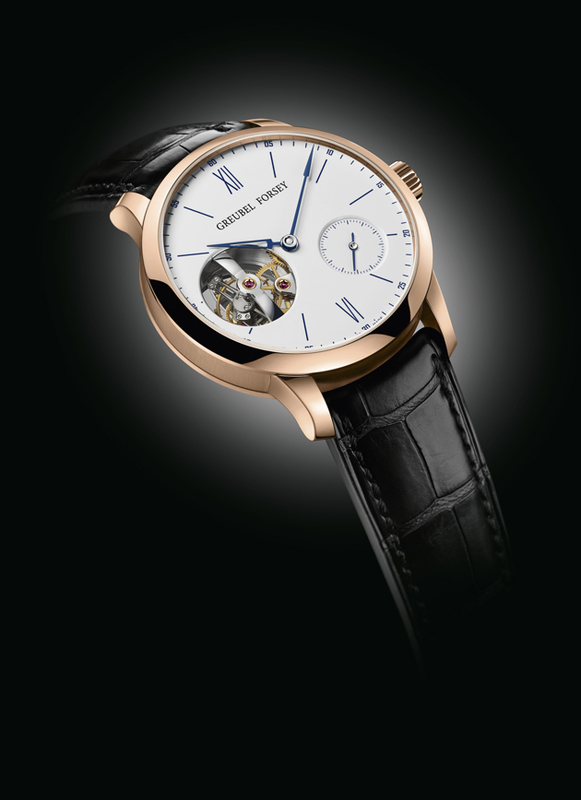 In addition, the tourbillon bridges showcase a perfect Greubel Forsey black-polish. 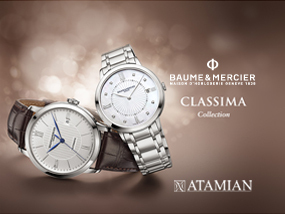 This timepiece, which includes the third Fundamental Invention, was born of a very precise wish to showcase a creation of absolute classicism in its purity of line, yet one which simultaneously exudes an incredible timelessness. The sober appearance of the dial and the case with its proportions of maximum refinement enhance a movement of supreme sophistication. timepiece captures luminosity and channels it into the interior, allowing the tourbillon to be viewed through a veritable stream of light.